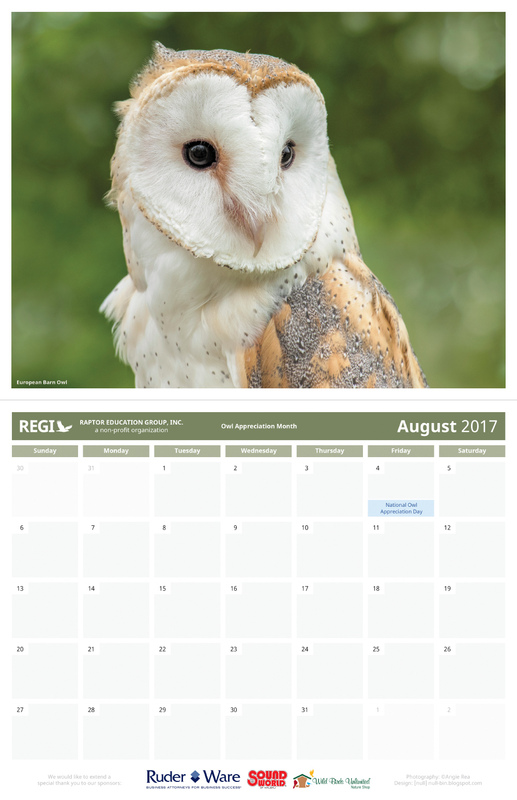 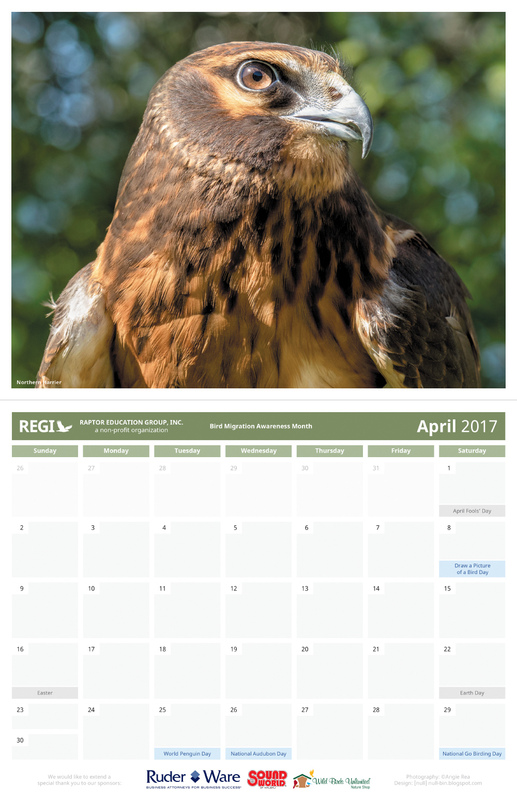 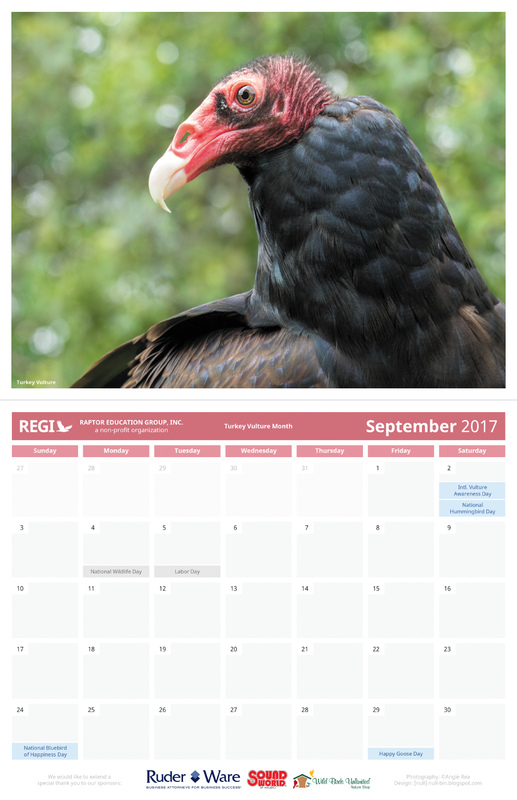 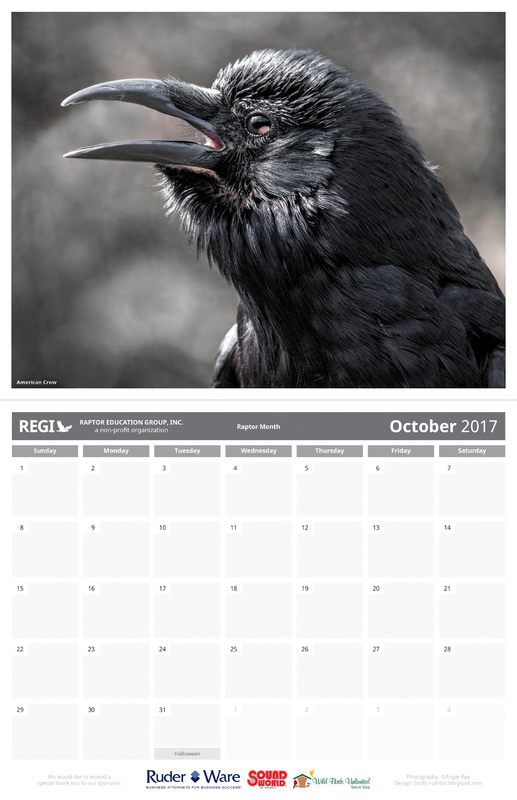 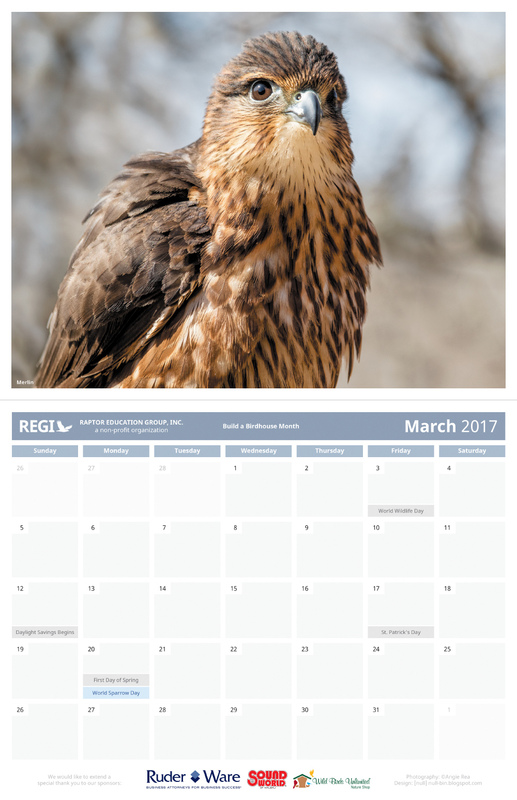 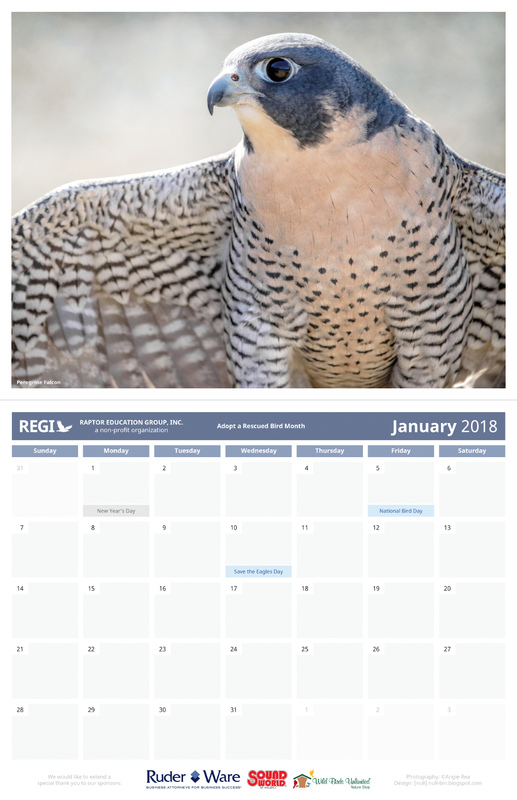 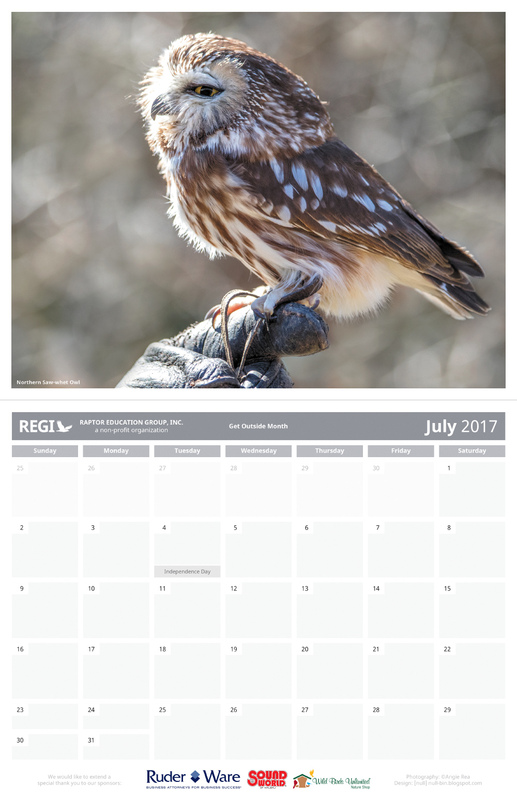 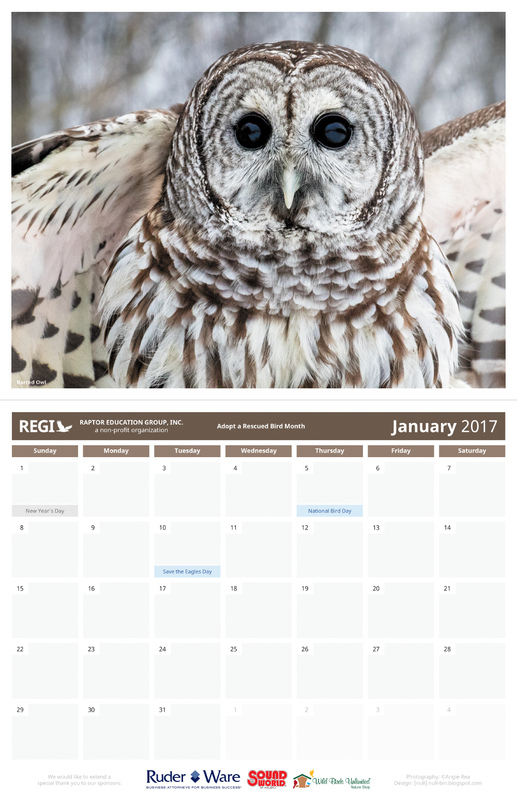 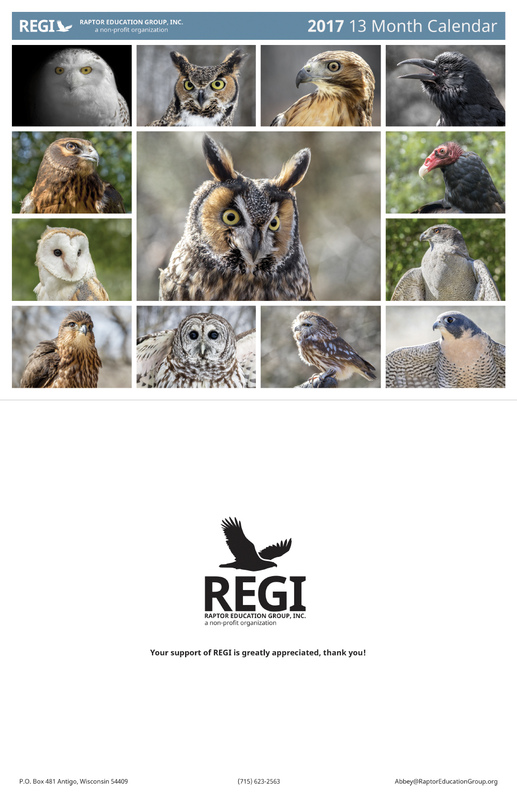 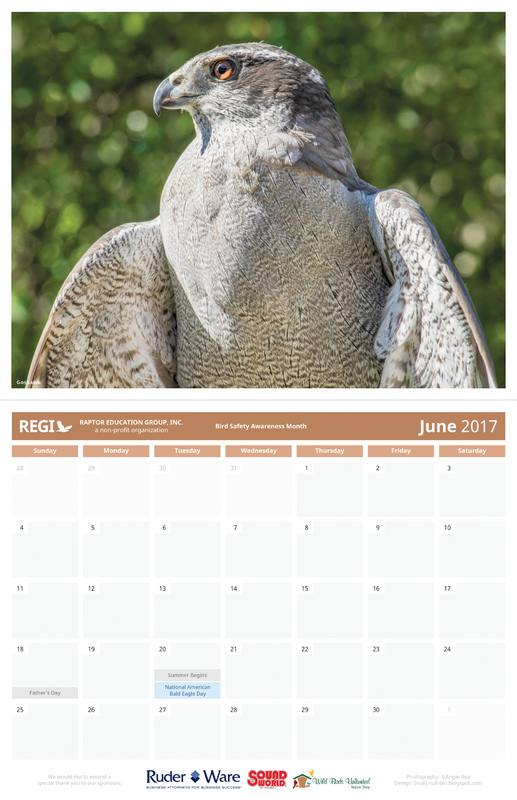 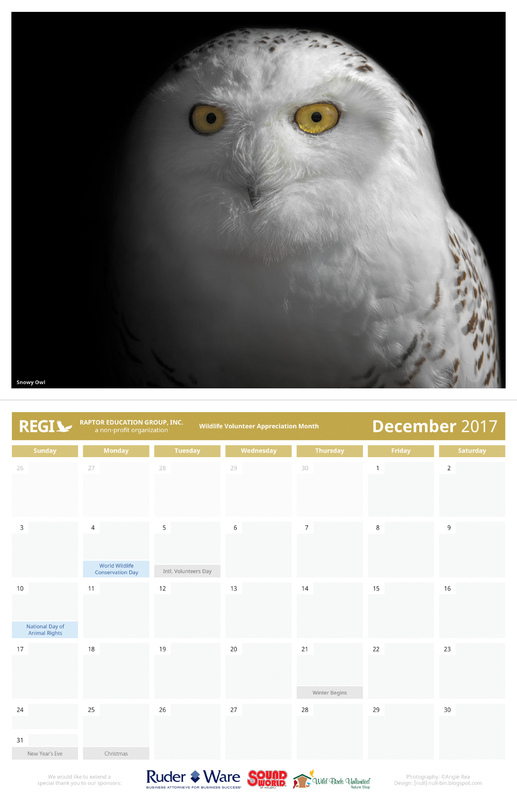 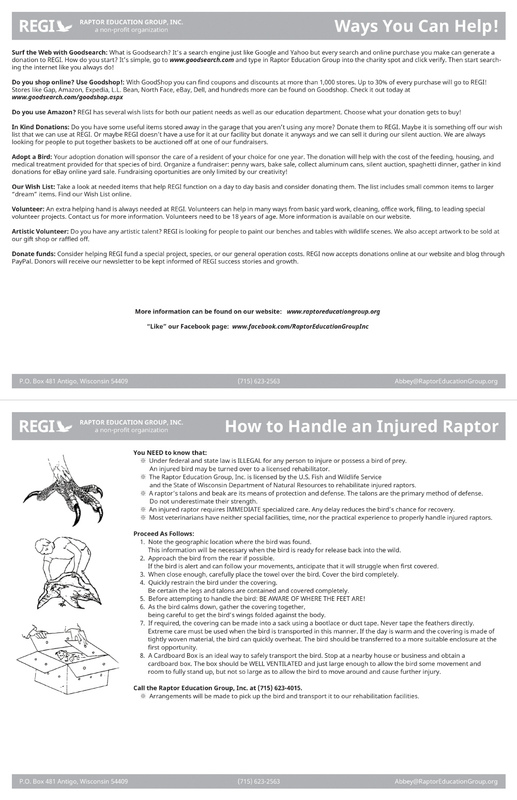 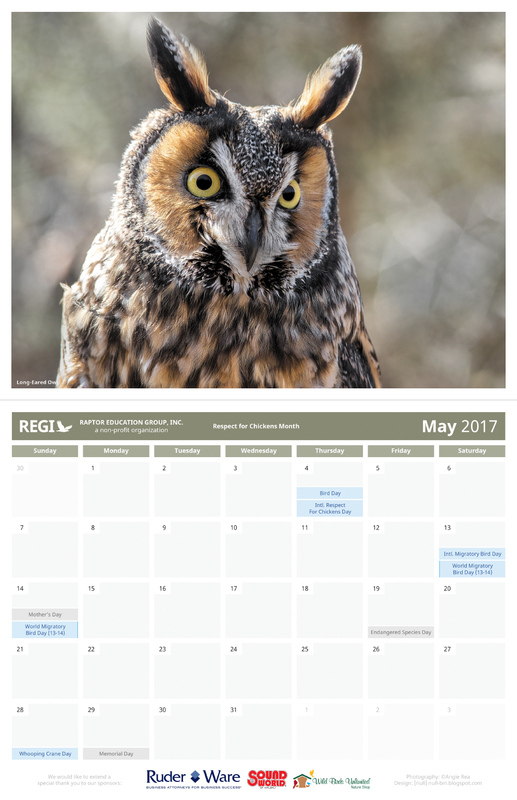 I was commissioned to design and create the 2017 fundraising calendar for REGI (Raptor Education Group, Inc.) Raptor Education Group, Inc is a 501 (C)(3) non-profit organization dedicated to the care and rehabilitation of injured or orphaned native bird species and public education of wildlife issues. 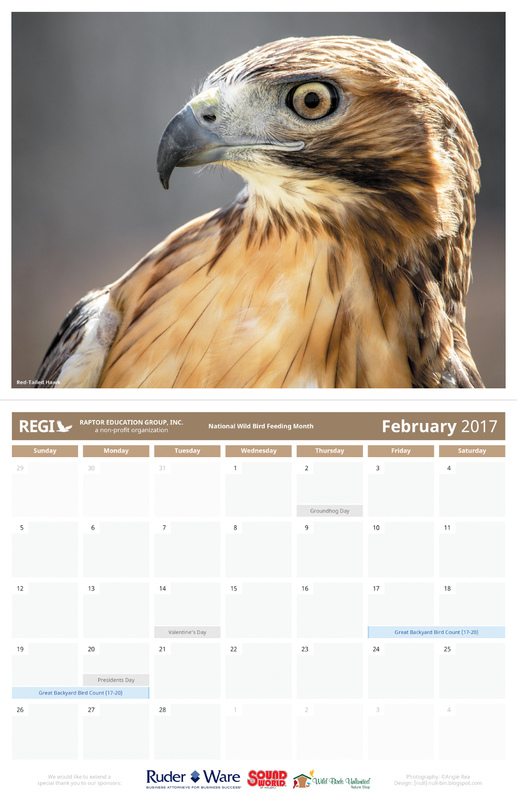 All Photography was taken by Angie Rea. 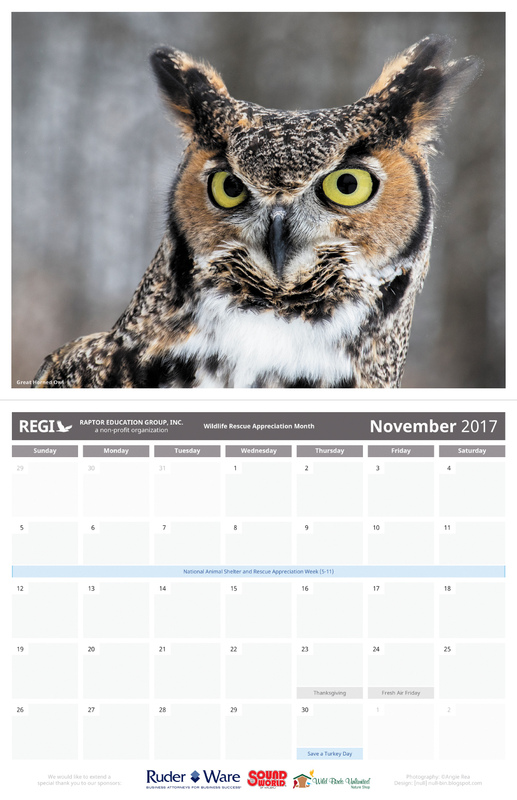 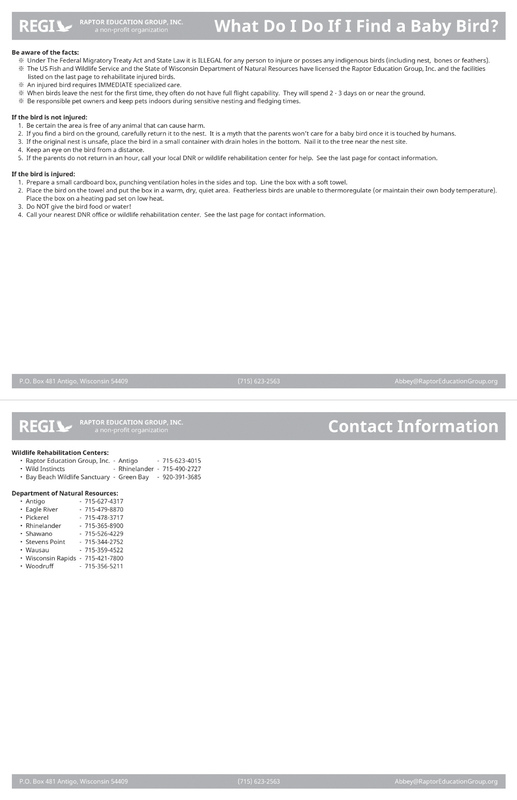 Please note these images are low resolution to discourage unauthorized printing, you may purchase a physical copy of this calendar at the REGI facility in Antigo, WI.